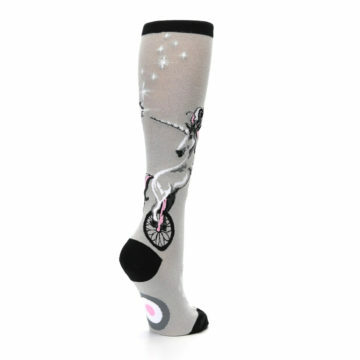 Brand: ModSocks - provides original, iconic novelty socks certain to draw the attention of others. 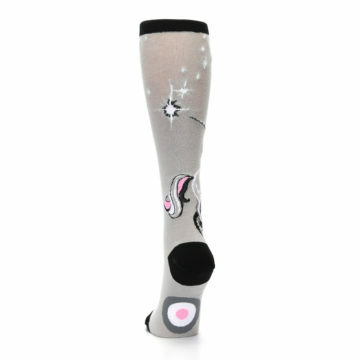 ModSocks are self-proclaimed to be “the cats meow”. 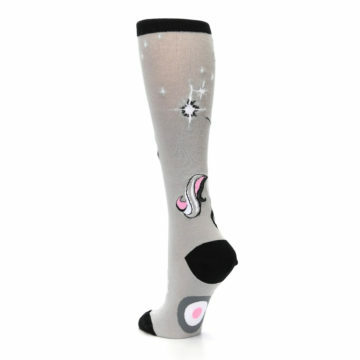 Offering some of the craziest novelty socks we have available, these are sure to tickle your fancy. 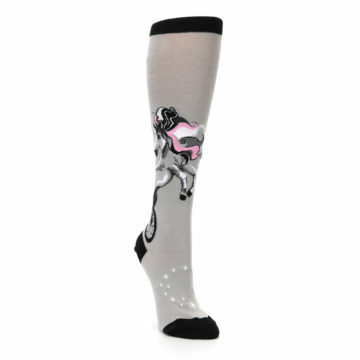 The people who wear this height swear by it: these socks will NEVER slip or slouch down your calf. 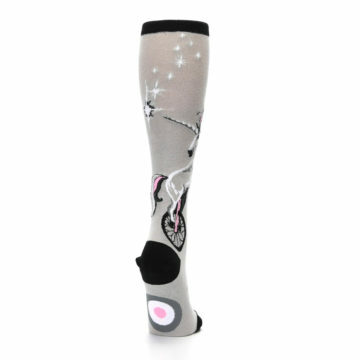 They're there to stay. 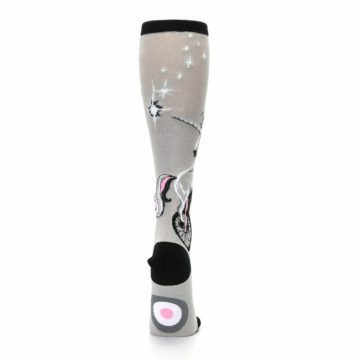 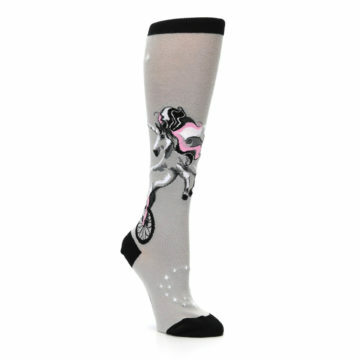 There are not yet any reviews for Gray Pink Unicycling Unicorn Women's Knee High Socks.